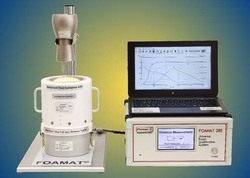 The Universal Foam Qualification System FOAMAT 285 is based on innovative technology for precision testing of all kinds of plastic foams. The ultrasonic fan-sensor LR 4 provides high data repeatability under all testing conditions. The enhanced technology of the Advanced Test Container ATC shows detailed cell formation data by a high resolution pressure sensor. The FOAM V4.0 software has new features, including density and specific volume curves. 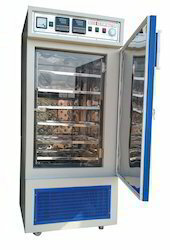 SEED GERMINATORSPECIFICATIONDouble walled construction, inner chamber made of th ickgauge stainless steel 20 Gauge sheets and exterior made of 18Gauge MS sheets powder coated finished. Inner space inbetween the walls is packed with special grade glass wool. TheInner chamber accommodates s t a i n l e s s s t e e l traysat adjustable height. Humidity is controlled by a humidity controller, having range20% to 99% but humidity can be obtained from atmospherichumidity of 99% with sensitivity of ±3%. Temperature controlledby digital temperature controller from + 10oC to 60oC with anaccuracy of ± 1oC. 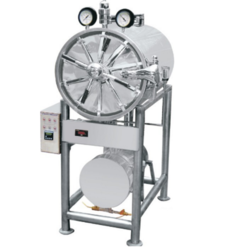 Heater and blower are fittedin the side of the interior chamber for maintaining uniformtemperature and humidity. A water reservoir will be provided with Auto low-level water cut off device and alarm. Control panel ImportanceThe electronic cabinet for above listed machines features a Auto-tuneADVANCE PID control for temperature /humidity with timer and softpower on key. 1. It has 128 x 64 new Graphical LCD display with user friendly messages in form of images and values. 2. 5-soft touch keys for operation of the machine & leds for indication ofDifferent parameters. 3. The Graphics Menu Driven system allows the user to set multiple parameters easily. 4. Profile programs (upto 8)for automatic running of the machinefor different time intervals. 5. Set different temperature for 8 different time intervals. 6. Password Protection Lock facility7. Temperature sensing with ± 10C Auto tunes PID resolution. 9. SSR based heater, compressor, humidifier, dehumidifier control outputs.